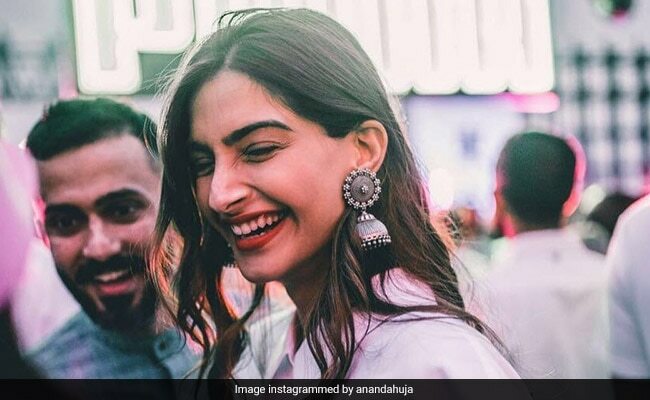 Sonam Kapoor and Anand Ahuja's wedding is just next week (May 8) and with just a few days left for the big fat Indian shaadi, the Kapoors are making sure to make it special for the couple. Last evening, a fancy wedding invite was doing the rounds on social media and now, we got some information about the dance rehearsals for the sangeet. The ceremony is reportedly being choreographed by Farah Khan, who is currently recuperating from an ankle injury. DNA reports that Sonam's cousins and her other family members will perform to some of her hit songs, including Veere Di Wedding title track. "The to-be bride's parents are said to be putting together a special act for Sonam. 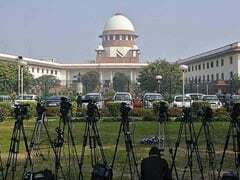 The actress' cousins and extended family will also be a part of the pre-wedding ceremony and will perform on her hit songs like Veere Di Wedding title track, Abhi Toh Party Shuru Hui Hai (Khoobsurat), Prem Ratan Dhan Payo's title track and other popular shaadi songs," the DNA report stated. Over the weekend, Farah Khan, Karan Johar and designer Masaba Gupta had dropped by Anil Kapoor's Mumbai home. On Tuesday, Sonam and Anand's wedding date was revealed by a joint statement released by their families. "The Kapoor and Ahuja families, take great joy and pride, in announcing the marriage of Sonam and Anand. The wedding will take place on the 8th of May in Mumbai. Since it is an intimate affair, we request you to respect the family's need for privacy. Thank you for all your blessings and love, as we celebrate this special moment in our lives," read the statement. Take a look at their wedding invite. Meanwhile, Sonam's brother Harshvardhan told news agency IANS, "I am really happy that she is getting married. Anand is a great guy."